2018 marks a decade since the inception of the African Women in Agricultural Research and Development (AWARD) Fellowship. In the 10 years since our founding, we have strengthened the science, leadership, and mentoring skills of 1158 scientists from 16 African countries. Impressively, analysis of the data collected over the last 10 years confirms that the AWARD Fellowship has had a tremendous impact in strengthening the pipeline of African women available to lead agricultural research. Before they can be effective agricultural research leaders, African women must first be scientists of uncompromising quality. As such, strengthening the scientific research skills of the fellows is a critical component of the AWARD Fellowship. 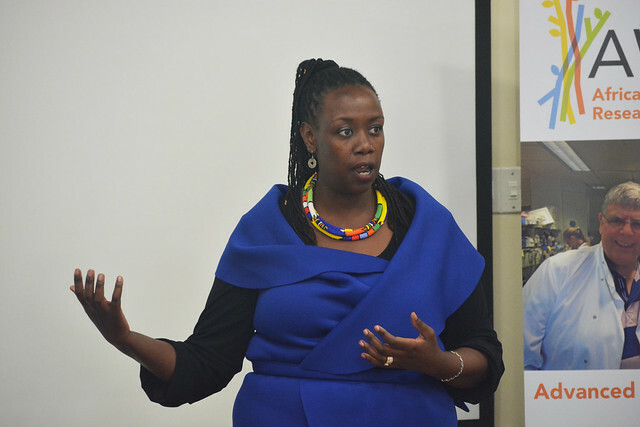 Advanced Science Training (AST) is a key component of our efforts to strengthen African women's scientific research skills; AWARD Fellows are selected to participate in research placements with partner institutions around the world. AST placements are only open to the very best of our Post Masters’ and Post-Doctoral AWARD Fellows. We are thankful that, since 2009, 44 of the world’s leading research institutions from 25 countries have sought to partner with AWARD to host research placements for our fellows. These top research institutions host AWARD Fellows for research placements because, like us, they are committed to bridging the gender gap in agricultural research by strengthening the pipeline of women entering leadership positions across the sector. This report on the impact of AST over the last ten years is the first systematic analysis of the impact of AWARD’s AST. The report is an account of not just AWARD’s and our partners’ contributions, but most importantly, of the 182 AWARD Fellows who have taken advantage of their AST research placement opportunities. These women scientists have used their placements at some of the world’s best laboratories to gain access to cutting-edge technologies, learn new skills, and enhance their ability to solve pressing needs of farmers in their home countries. An impressive 94% of the AWARD Fellows reported a significant improvement in their technical skills and there is compelling evidence that the AST experience is a catalyst for AWARD Fellows to accelerate their research. Collaborations are critical to research and innovation. We are encouraged that, as a result of their AST research placements, a remarkable 71% of the fellows have forged new research partnerships between their home institutions and their host institutions. These innovative new partnerships range from joint studies and publications to staff exchange programs. The study also contains important lessons that would be valuable to anyone trying to replicate the AWARD Fellowship model. It highlights the importance of nurturing connections not just between individual scientists, in this case AWARD Fellows and their AST supervisors, but also catalyzing connections between their two research institutions. We have also learned that AST research placements begin long before the AWARD Fellow arrives at her host institution and that laying a strong foundation can lead to years of productive research collaborations long after a research placement. My heartfelt appreciation goes to the past and present members of the AWARD staff team and the Steering Committee who have been critical to the success of the fellowship. I also offer my deepest gratitude to Jodi Lilley of John Innes Centre and Santie de Villiers of Pwani University for leading this important study. My team and I welcome you to read, engage and share this report as together we work towards inclusive, agriculture-driven prosperity for the African continent. Find photos of the report's launch on Flickr.